Women in Politics in Southeast Asia: Same same but different? This post is written by Eng Sokha, Project Assistant at CCHR, and Juliette Rousselot, Consultant at CCHR. 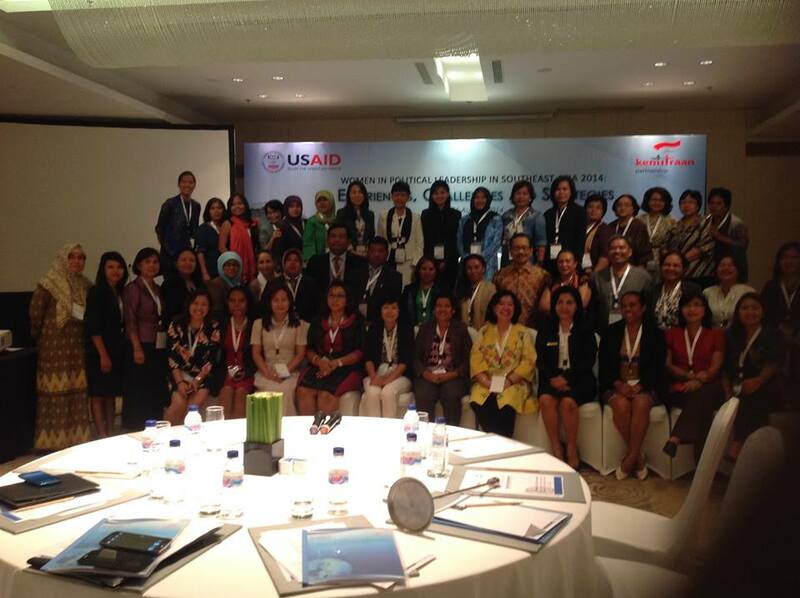 Earlier this week, we had the honor of representing CCHR at a conference – “Women in Political Leadership in Southeast Asia 2014: Experiences, Challenges and Strategies” – held in Indonesia by CCHR’s partner organization, Kemitraan, where we discussed the state of women’s political leadership in Southeast Asia in 2014. The focus was on the experiences of women in politics, the challenges to increase that representation and the strategies we can use to increase that representation. We were accompanied by Ms. Sonket Sereyleak, Education and Gender Coordinator at COMFREL, and Ms. Keth Mardy, the Director of Legal Protection Department of the Ministry of Women’s Affairs of Cambodia, who both spoke on panels during the conference on the issue of increasing women’s political representation in Cambodia. For the past 2 years, CCHR has been working as a part of a regional program – which includes other organizations from Indonesia, Malaysia, Timor Leste, and the Philippines – to increase women’s representation in politics throughout Southeast Asia. With just women constituting just 20% of Cambodia’s National Assembly, we are still far away from achieving true gender equity in politics. However, the problem is not unique to Cambodia but present throughout all of Southeast Asia, where women seeking to participate in the political life of the nation – a right guaranteed under Article 25 of the International Covenant on Civil and Political Rights and Article 7 of the Convention on the Elimination of All Forms of Discrimination Against Women – are denied this right because of discriminatory laws and policies, cultural and traditional barriers, and socio-economic factors. In fact, Asia has one of the lowest average percentages of women’s representation in national parliaments of all the world’s regions, at just 18.4%.